"Man, the playing technique Van possesses is remarkable!" 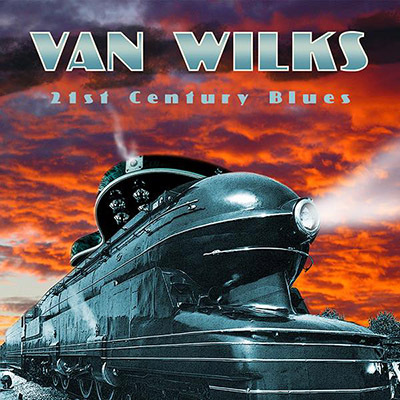 AUSTIN, TX – Texas-based guitarist Van Wilks, who’s won awards as Best Guitarist for both electric and acoustic categories and Best Blues-Rock Band four years in-a-row in the Austin Chronicle music poll, announces a January 29 release date for 21st Century Blues, his first studio album in 10 years, on Texas ’51 Records. Produced by Van Wilks, who’s also been voted into the Austin Chronicle Texas Music Hall of Fame, 21st Century Blues was recorded and mixed by Chet Himes at Relentless Ranch Studios in Dripping Springs, Texas, and Chicken Run Studios in South Austin. Texas-sized special guests on the new CD include Grammy-winner Christopher Cross and Austin vocal hero Malford Milligan, both of whom appear on “She Makes Me Crazy,” a song written by Cross (who also plays guitar on the track) with Milligan adding his trademark dynamic voice. Also making his presence known on 21st Century Blues is the legendary Billy F. Gibbons, who co-wrote “Drive by Lover” with Wilks, a song that made its initial appearance on an earlier ZZ Top album. Signed CDs available direct from Van here in the Store.